Many people do forget to logout from the devices which doesn’t belong to them whether it may be their friend’s laptop or a computer from internet café. Your friend or any other person can mess up your Facebook profile and chats. You can change your Facebook password to prevent them from logging into your account. It is recommended to change your password every 90 days. But if you do not want to change your password then you can remotely log out from your profile using a web browser or by using your Facebook app on your smartphone. 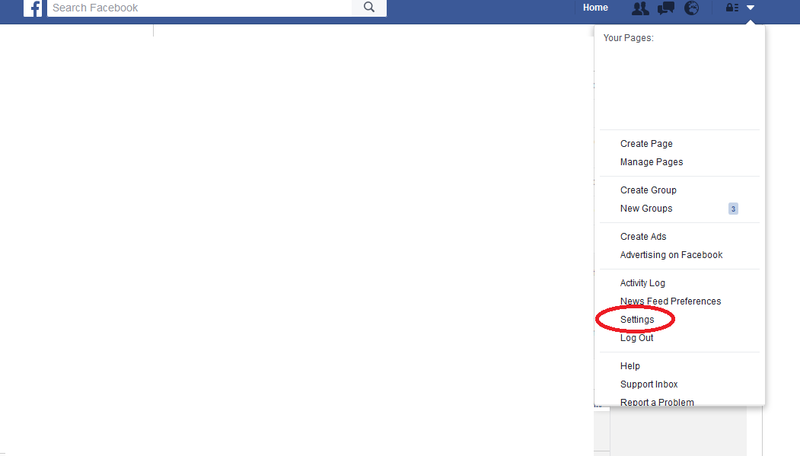 Just sign in to your Facebook profile and go to Settings by clicking arrow beside the Home button. Now Select security from the left column. 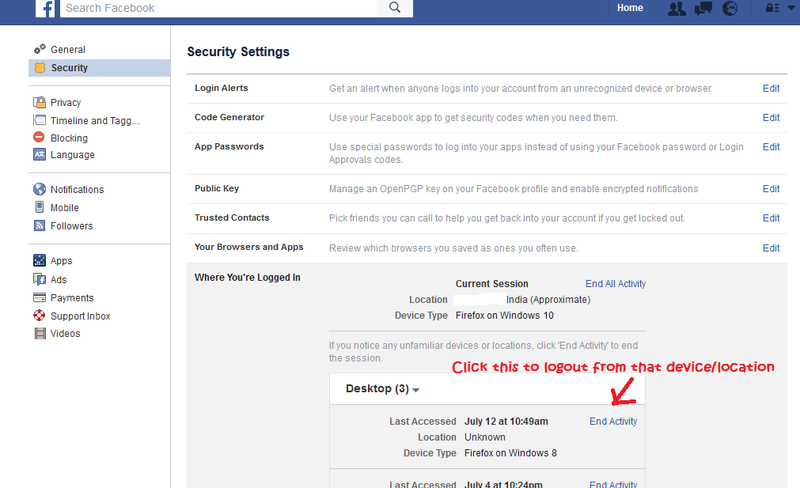 And then look for “Where You’re logged in” under the Security settings and click Edit button next to it. Here you will a list of type of devices and browsers with locations which you have used to login into your account it will also show you the last accessed date and time now the device from which you want to logout just click on End Activity next to it. It is recommended to end all the activity from unknown devices or the device which cannot recognize. Login to your account on the app. Now go to options and scroll down to Account settings. This will show your current location and device type which you are using now scroll down to see the more active sessions and look for the device type from which you want to logout or end the session then tap Close button next to it. You should better logout and end active session from the devices which you don’t use any more. You can edit the list of recognized devices under the security settings this will help to keep your account secure. In case if you have used your friend’s phone to upload pictures or update your status on Facebook then don’t forget to logout from that device or they can read all you chat history. Whenever you change your password make sure that it contains at least 8 letters and should have combination of lower and upper case letters with numbers and special signs. You can also remotely logout using a mobile web browser by following same steps mentioned above.